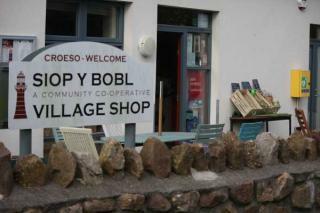 A locally owned (co-operative) community store run by volunteers, which stocks a large range of fresh local and organic food including vegetables, beer, ice cream, eggs, meats, jams and chutneys and incorporates the post office function too. It also has a coffee shop with locally made cakes. It is a source of local information and events. You can also pick up recycling and kitchen waste bags here. They have also planted a small orchard, herb and wildflower garden at the back of the premises. Ökumenisches Büro für Frieden und Gerechtigkeit e.V.